Park's Smart ADR provides fully automated defect review and identification, enabling a critical in-line process for classifying defect types and sourcing their origin using high resolution 3D imaging. Smart ADR is specifically designed for the semiconductor industry. 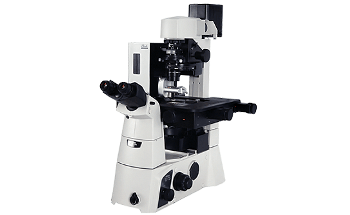 It is the most advanced defect review solution available, featuring automatic target positioning without the need for labor-intensive reference marks that often damage the sample. Compared to traditional defect review techniques, the Smart ADR process increases throughput by up to 1000%. The new ADR capability also improves tip life up to 20x times due to Park's groundbreaking True Non-Contact™ Mode AFM technology. In combination with a long-range sliding stage, the industry leading low-noise Park AFM becomes an Atomic Force Profiler (AFP) for chemical mechanical polishing (CMP) metrology. The new low-noise AFP offers very flat profiling for both global and local uniformity measurements with the best profiling accuracy and repeatability. Unique True Non-Contact™ Mode enables non-destructive in-line measurements with extended tip life, while Park's innovative True Sample Topography™ provides CMP profiles with none of the usual artifacts associated with traditional piezotube-based AFP. As a result, accurate height measurements can be ensured without non-linear or high-noise background subtraction over a broad range of profiling lengths. A wafer’s surface roughness is a critical factor in determining the performance of a semiconductor device. 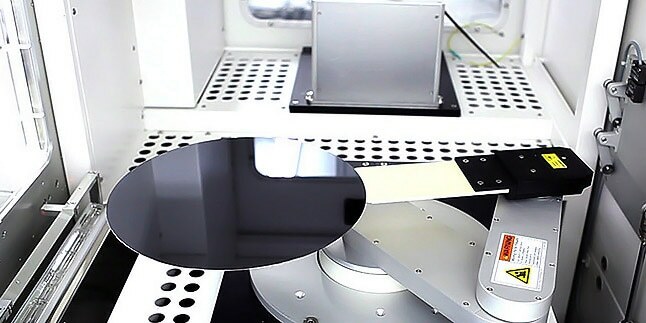 For the state-of-the-art device manufacturer, more accurate roughness control of ultra-flat surfaces on Si or SOI wafers are very much in demand from both chip makers and wafer suppliers. 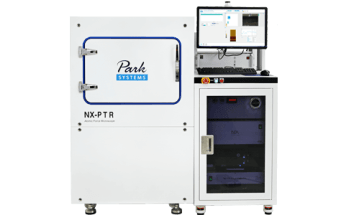 The combination of the industry's lowest noise floor of below 0.5 Å and True Non-Contact™ Mode enables the Park NX-Wafer to reliably collect sub-Angstrom roughness measurements with minimum tip-to-tip variation. With Park's Crosstalk Elimination, very flat orthogonal XY scanning can be performed without background curvature, even on the flattest of surfaces irrespective of scan location, size and rate. As a result, very accurate and repeatable surface measurement can be obtained from micro-roughness to long-range waviness. The new 300 mm bare wafer ADR provides a fully automated defect review process from alignment and transfer of defect maps to the survey and zoom-in scan imaging of defects using a unique remapping process without the need for any reference marker on a sample wafer. In SEM, square-shaped destructive irradiation marks are created on defect sites after each run. Conversely, the AFM-based defect review allows for 3D imaging of defects down to a few nanometers in a non-destructive manner. The connection between the AFM and a defect inspection tool is performed by advanced coordinate translation with improved vision technique. The fully automated system requires no separate steps to calibrate the stage of the targeted defect inspection system, which improves productivity by up to 1000%. 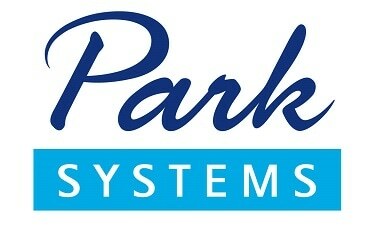 The defect maps collected from a laser-scattering defect inspection tool can be accurately transferred to a 300 mm Park AFM system with the new Park Smart ADR, thanks to Park's proprietary coordinate translation technique. Separate steps for calibrating the stage of the targeted defect inspection system are not required for this technology. 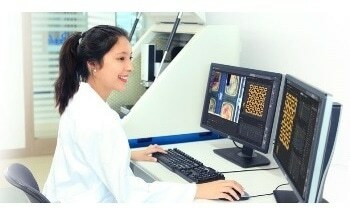 The fully automated system facilitates high throughput defect imaging. A zoom-in AFM scan to acquire a detailed image of the defect, allowing for automatic analysis of the defect type and the subsequent defect dimensions. 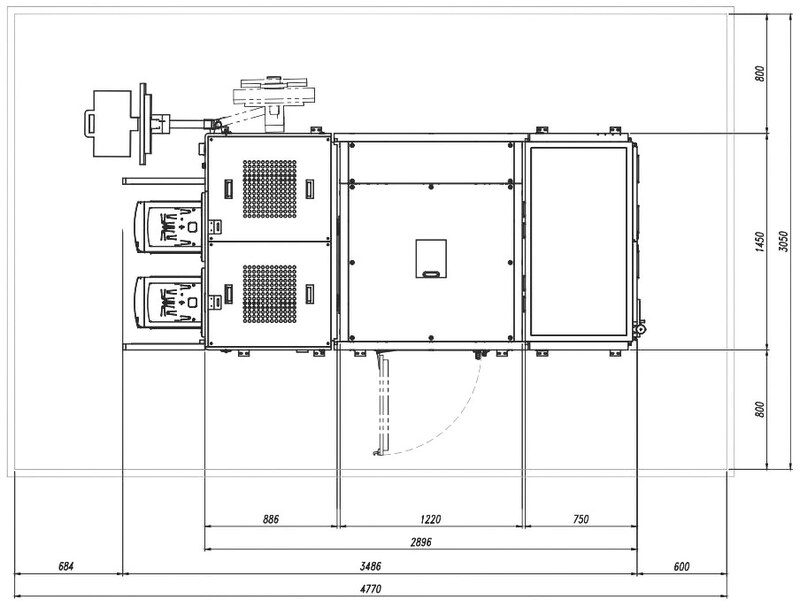 Planarization is key in the back-end processes where metals and dielectric materials are employed. Both local and global uniformity after chemical mechanical polishing (CMP) significantly influences the yield of chip manufacturing. Accurate CMP profiling is required metrology to improve process conditions for achieving the best possible planarity and optimizing production yield. 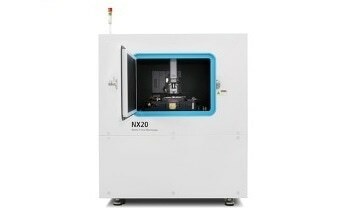 The combination of Park NX-Wafer and a sliding stage offers long-range profiling capability for CMP metrology. 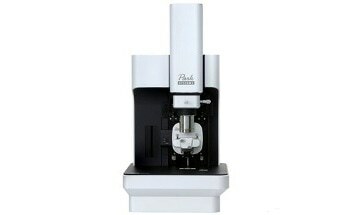 Very flat profiling is provided by the combined system due to the unique scanner design of Park's automated AFM without the need for complicated background subtraction or calibration subsequent to each measurement. 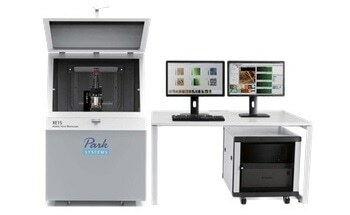 The Park NX-Wafer enables unprecedented CMP metrology of both local and global planarity measurements, including erosion, dishing and edge-over-erosion (EOE). Semiconductor suppliers are involved in the development of ultra-flat wafers to meet the ever-increasing demand for shrinking device dimensions, but a metrology tool that can provide accurate and reliable measurements for the sub-Angstrom roughness of these substrate surfaces had not yet been developed—until now. 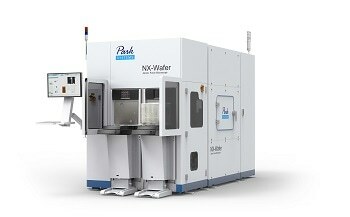 The combination of True Non-Contact™ Mode and a very low-noise floor of less than 0.5 Å across the wafer area enables the Park NX-Wafer to deliver accurate, repeatable and reproducible sub-Angstrom roughness measurements for the flattest wafers and substrates with minimized tip-to-tip variation. 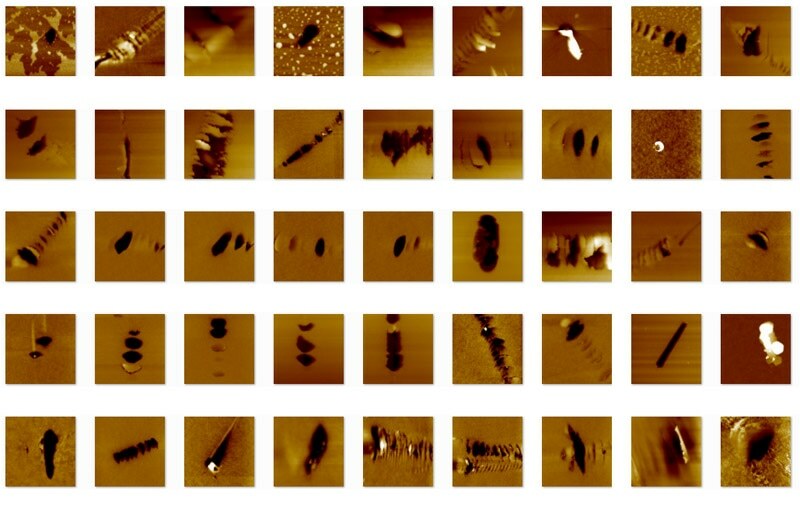 It is possible to obtain very accurate and repeatable surface measurements even for long-range waviness measurement of scan sizes up to 100 x 100 µm. The long-range profiler is a key component of Atomic Force Profilometry (AFP) and features a dedicated user interface for the automated CMP profiling and analysis. 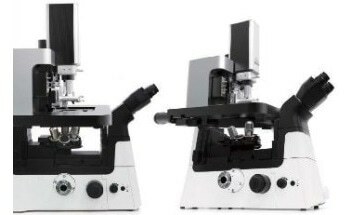 The XY scanner consists of symmetrical 2-dimensional flexure and high-force piezoelectric stacks, providing highly orthogonal movement with minimal out-of-plane motion in addition to high responsiveness critical for precise sample scanning at the nanometer scale. Two symmetric, low-noise position sensors are included on each axis of the XY scanner to maintain a high level of scan orthogonality for the largest sample sizes and scan ranges. The secondary sensor corrects and compensates for non-linear and non-planar positional errors caused by a single sensor alone. The Park NX-Wafer offers unprecedented accuracy in topography height measurement by utilizing its ultralow-noise Z detector rather than the widely used Z voltage signal, which is non-linear in nature. The low noise Z detector is used as an alternative to the applied Z voltage as the topography signal. 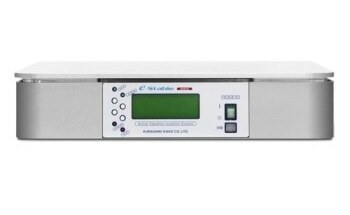 Guided by a flexure structure and driven by a high-force piezoelectric stack, the standard Z scanner has a high resonant frequency of over 9 kHz (typically 10.5 kHz) and Z-servo speed of over 48 mm/s tip velocity, facilitating more accurate feedback. 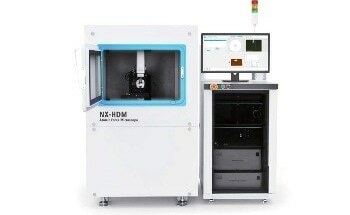 It is possible to extend the maximum Z scan range from 15 µm to 40 µm with the optional long- range Z scanner. 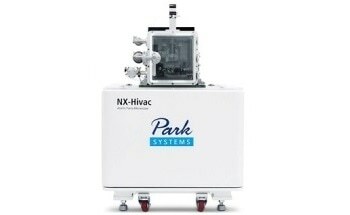 The Park NX-Wafer features automated software that makes operation nearly effortless. 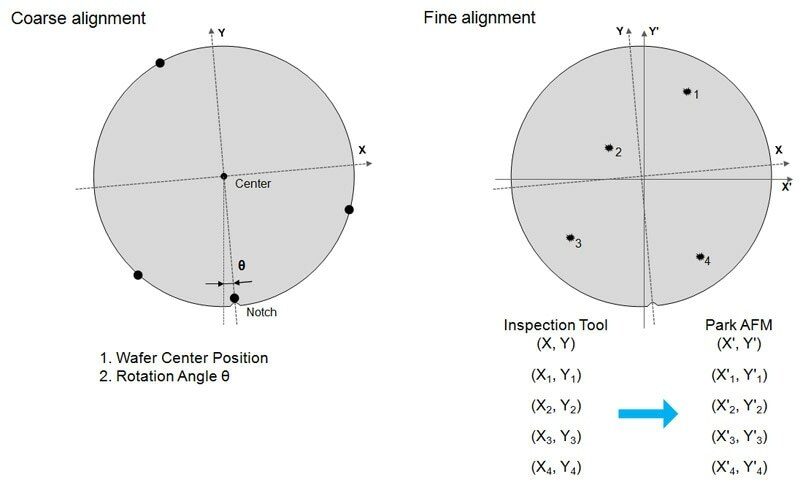 By selecting the desired measurement program, a precise multi-site analysis can be obtained with optimized settings for cantilever tuning, scan rate, gain and set point parameters. 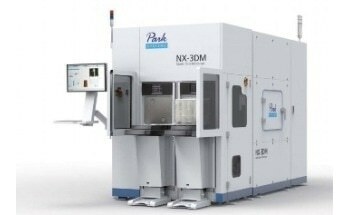 Park's user-friendly software interface provides the option to design customized operation routines, allowing users to access the full capacity of the Park NX-Wafer to obtain the measurements they need. New routines can be easily created, taking less than 5 minutes to modify an existing routine and about 10 minutes to make one from scratch. The ATX helps to locate tips automatically by pattern recognition. A unique magnetic approach is used to disengage a used tip and select a new tip, with a remarkable success rate of 99.9%. 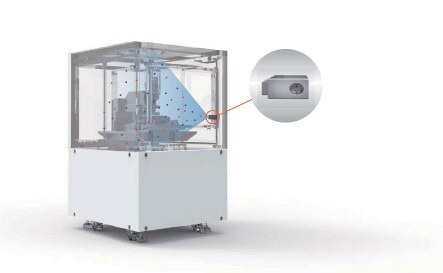 Motorized positioning knobs then automatically optimize the laser spot along the X- and Y-axis. 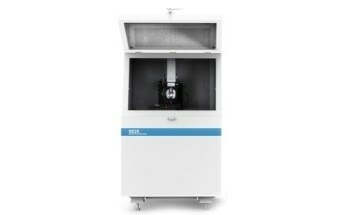 The innovative ionization system eliminates electrostatic charges from a sample environment rapidly and effectively. The ideal balance of positive and negative ions is always generated and maintained by the system. An extremely stable charge environment can be created with minimal risk of accidental electrostatic charge while handling samples and little contamination of the surrounding area. 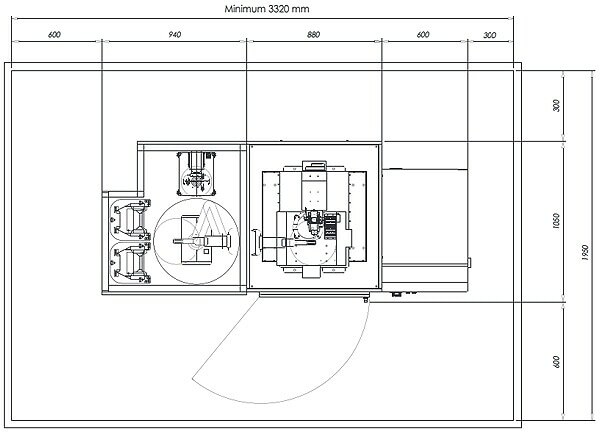 It is possible to configure the Park NX-Wafer for various automatic wafer handlers (EFEM or FOUP or other). 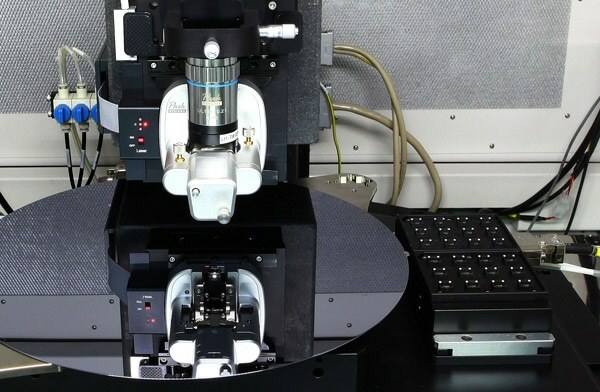 With the high-precision, non-destructive wafer handling robot arm, users can obtain fast and reliable wafer measurements.